DAVID LE/Staff photo. 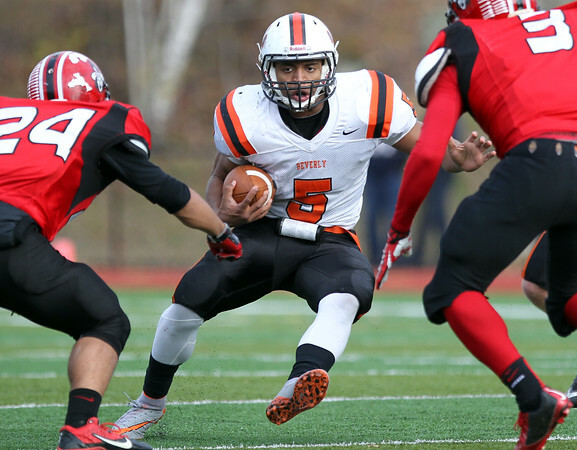 Beverly senior running back Matt Madden (5) cuts back against Salem on Thanksgiving morning. 11/26/15.